Barrow Footgolf takes up residence at the Zone Golf Driving Range at the Fairway Hotel in Barrow-in-Furness. Visitors and locals to the Lake District alike will relish the chance to sample the up and coming Footgolf craze in this ideal location. Being a driving range this is a perfect spot for those new to the Footgolf sport, and floodlighting and the latest high speed cameras mean you can improve your technique and hone your skills. 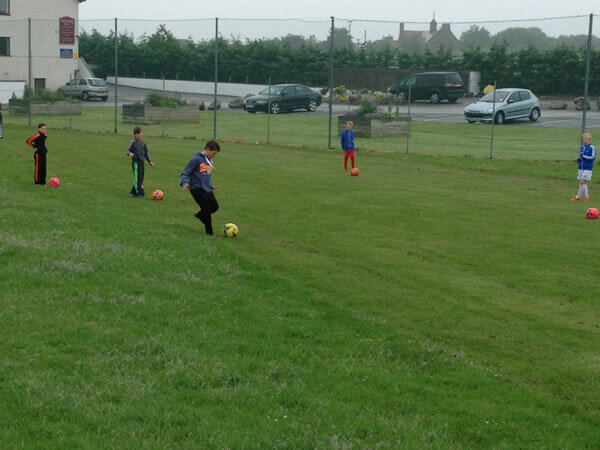 Situated in Barrow, Cumbria, and being located on site at a hotel, there is more than just Footgolf available to visitors here. The Bar and Restaurant are ideal for relaxing and socialising after practising your skills. Visitors to the Lake District and Cumbria in search of a new experience certainly can’t go wrong by giving Footgolf a try.